Salads are healthy and versatile options for a delicious lunch or even dinner. They are ideal meals because they take minimal preparation, cooking and use easily accessible produce. The ingredients are important components, but what really makes a salad is the dressing. Here are 30 recipes that will leave you inspired for many meals to come. This classic recipe is creamy and tangy and complements any Caesar salad, along with grilled chicken, cherry tomatoes, croutons and Parmesan cheese. The perfect dressing to drizzle over a Chinese chicken salad. For a healthier version of this salad leave off the fried wonton strips. The key to getting this salad right is the rich dressing that will highlight the crab (or shrimp), avocado, asparagus, egg and cherry tomatoes. This popular salad has many ingredients that make it delicious, but to top it off, it’s important to get the dressing ratio just right. A great addition to a easy arugula salad with beets and goat cheese. Add walnuts for an extra flavor. This simple dressing for a well-loved salad is easy to make with herbs and spices that are easily found in your kitchen. A unique dressing inspired by Japanese flavors. This is a real treat on a salad that is made of beans, broccoli, crunchy seeds and avocado. A delicious addition to a heart-healthy salad that combines fresh zucchini, roasted corn, bell peppers and other colorful produce for a beautiful presentation. Tangy, spicy and creamy dressing that complements this famous salad that originated in New York. A classic choice that complements any simple garden salad. With a great mixture of sweet and tangy, this is a perfect dressing for any salad. Perfect addition to a simple side salad. A great dressing for an iceberg wedge salad. Spices up a simple dinner salad. A delicious and rich addition to an iceberg or garden salad. An ideal dressing to spice up a garden salad. Add carrots to further complement the rich spicy flavor. A simple, but satisfying dressing that goes well on a plain iceberg salad. Sweet and with a peppery kick, this dressing is a great addition to any simple salad. A sweet addition to a simple garden salad. Especially delicious with cherry tomatoes. A classic recipe that goes well with all salads, especially iceberg. A unique fruity take on a classic dressing that would go great on an arugula salad. A sweet dressing that would also complement an arugula salad. A delicious addition to a simple garden salad or any vegetables for that matter. A simple dressing that packs a punch. A rich and creamy recipe that goes especially well with a iceberg salad. This versatile dressing goes well with grilled chicken and avocado salad. 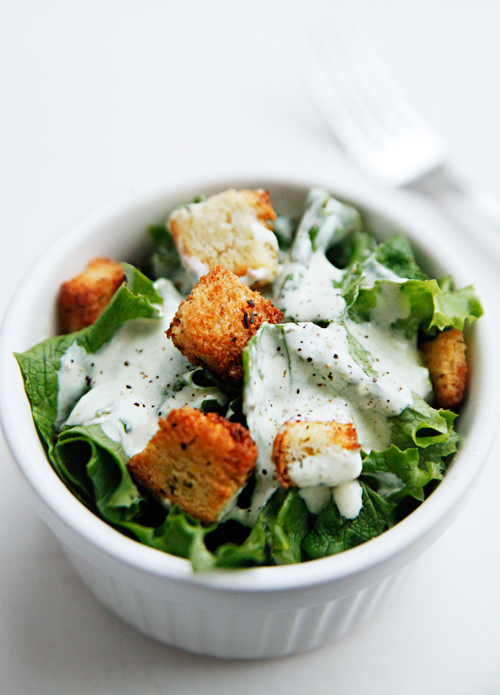 The perfect addition to a simple garden salad complete with croutons. Similar to its cousin, this dressing has the added nutty flavor to spice up a chicken salad. A light and crisp recipe that is perfect on a simple romaine salad with fresh tomatoes.